Women boxers will have the chance to fight for gold at the 2012 Olympics. International Olympic Committee chiefs voted on Thursday to lift the barrier to the last all-male summer sport. Three women's weight classes will be added to the Olympic programme for 2012 Games in London, with one of the 11 men's classes dropped to make room. "Women's boxing has come on a tremendous amount in the last five years and it was time to include them," said IOC president Jacques Rogge. Women will fight at flyweight (48-51kg), lightweight (56-60kg) and middleweight (69-75kg). Women already fight in the Olympics' three other combat sports - judo, taekwondo and wrestling. Is boxing really more dangerous than taekwondo? The IOC's decision was described as "historic" by Olympics minister Tessa Jowell. "It will be a landmark moment come London 2012 when for the first time every sport will have women participating in it," she said. "There are still major disparities in the number of medals women can win compared to men but this is a step in the right direction. "In this country women's boxing has come on in leaps and bounds and is growing quickly at all levels. "London 2012 will now create the first-ever generation of boxing heroines and hopefully inspire even more women to take up the sport." Women's boxing came close to being included at the 2008 Beijing Games but the IOC ruled it would not offer added value to the Olympic programme. Fears were that the sport was not competitive in enough countries, which could lead to potentially dangerous mismatches. But participation has since boomed with 120 international federations having female boxers. There are now nearly 600 registered female boxers in England, up from 50 in 2005. Amanda Coulson, a three-time ABA champion and long-time trail-blazer for British women's amateur boxing, expects the whole sport to benefit from the IOC's decision. "It's fantastic news, I'm over the moon," she said. "Women's boxing can only progress from here - participation numbers will go through the roof, especially after 2012. "The sport will keep growing but not just female boxing, the numbers overall will increase because of the added exposure." England women's coach Mick Gannon expects the popularity of female boxing to explode following its inclusion in the Olympics. "It's fantastic," he said. "What we'll see now is young ladies knocking down the doors at boxing gyms. "There is going to be a big jump from other combat sports into boxing and it is already the fastest-growing sport in England. "Numbers-wise it has increased by about 700% in five or six years. "Like any sport you have a drop-off but now they will have the opportunity to go on and become superstars." British sports minister Gerry Sutcliffe added: "This move is a massive boost for women's boxing. "It will give female boxers the chance to showcase their talents on the biggest sporting stage. 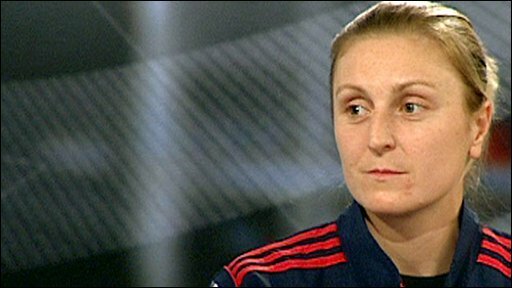 "I am sure that our British talent will relish the opportunity to compete in front of a home crowd in 2012 and will help raise the profile of women's boxing at all levels." Will women's boxing be a successful Olympic sport? The move was criticised by the British Medical Association, which represents more than 140,000 doctors and medical students. A BMA spokesman said the sport should "play no part in a modern Olympic games". He added: "Irrespective of their gender, during the course of a fight boxers can suffer acute brain haemorrhage and serious damage to their eyes, ears and nose. "Throughout their career, boxers will receive thousands of blows to the head. Each blow received results in the brain being shaken within the skull. "The cumulative affect of a lifetime in the ring can be irreversible brain damage. Unlike other sports the aim of boxing is to inflict bodily harm on an opponent." Former boxer and Labour MP Paul Flynn described the decision as "foolish" and said it was not a step forward for female equality. 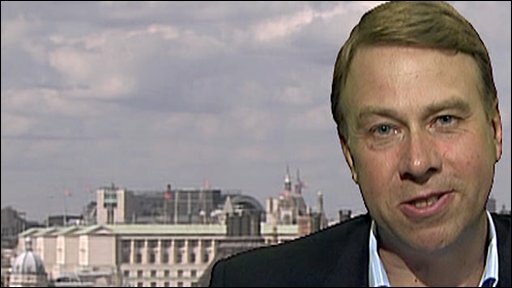 The politician, who has tabled two private members' bills to get boxing banned, said: "This is a foolish act. I'm very disappointed to see it's being presented as something to do with women's rights." He added: "If anyone still believes boxing is a healthy sport there's two words for them - Muhammad Ali." British boxer Amir Khan, an Olympic silver medallist in 2004, said: "Deep down I think women shouldn't fight. That's my opinion. "When you get hit it's very painful. Women can get knocked out." However, he told BBC Radio 5 live: "I am going to be supportive. I'll be cheering on the British fighters and hoping they win the medals." Although the head is not a target zone in amateur boxing, one organisation expressed concern at further promoting the sport of boxing as a whole. Peter McCabe, chief executive of brain injury association Headway, said: "We believe all forms of boxing should be banned with immediate effect. "Introducing women's boxing at the Olympics will simply serve to glamorise a dangerous and irresponsible sport to a new audience and lead to more young women putting their health at risk." Khan admitted he had never seen a women's fight, whereas former WBC super-middleweight world champion Richie Woodhall, now a coaching consultant to the British Amateur Boxing Association, says the change is deserved. "I have seen at first hand the massive improvements that have taken place in competitive women's amateur boxing over the last few years," he said. Sue Tibballs, chief executive of the Women's Sport and Fitness Foundation, welcomed the shift towards equality at the Olympics. "In Beijing, 165 medals were available to men versus 127 to women," she said. "Women were first allowed to compete in the Olympic stadium in 1922 - 90 years on, we hope London 2012 will show real progress for sportswomen." Canoe sprint - all men's 500m events will be shortened to 200m to make them "more spectacular"; men's canoe double 500m to be replaced by women's kayak single (K1) 200m. Handball - all placement matches below the bronze-medal play-off will be removed. Modern pentathlon - the new combined run/shoot format has been included. Tennis - a mixed doubles event will be included, subject to confirmation from the International Tennis Federation that top singles players will take part. Wrestling, Swimming, Cycling - all want new events, which will be allowed only if they replace current events and do not increase the number of athletes. Sailing - Tornado Multihull event withdrawn, reducing the programme to 10 events. Final decisions on details will be made at the IOC executive board's December meeting in Lausanne. What makes a good Olympic sport?